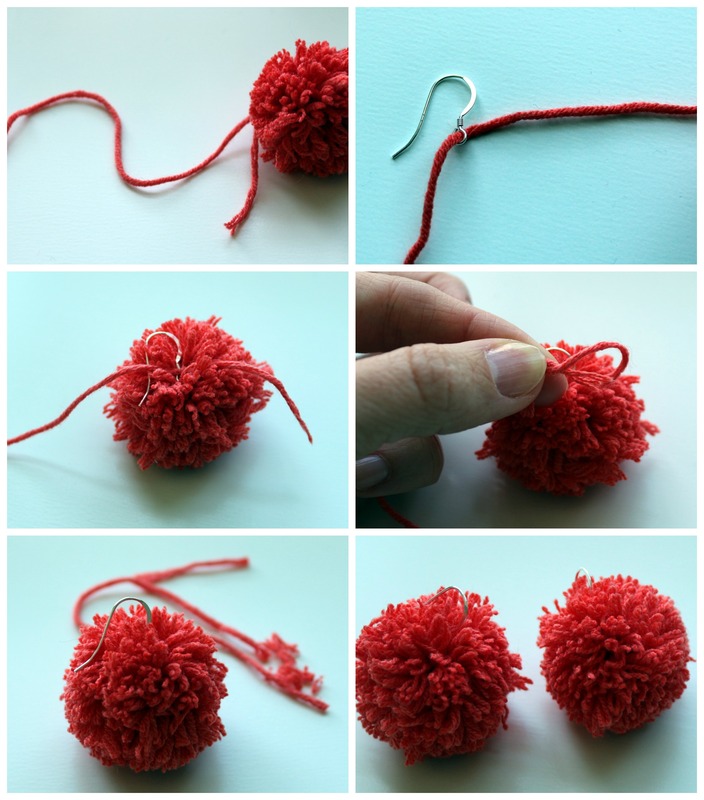 This morning I woke up with the urge to make Pom Poms. It is a nice fun little activity that is easy to do while catching up on my trashy tv programmes. NB. 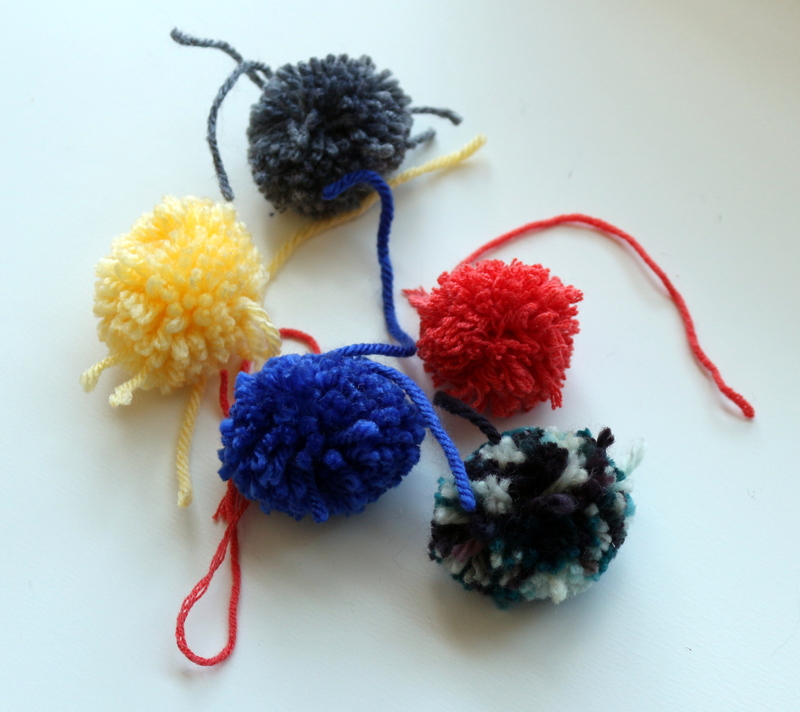 I used my Clover Pom Pom Makers, but if you look at this post, I put in a few different ways of making them too. 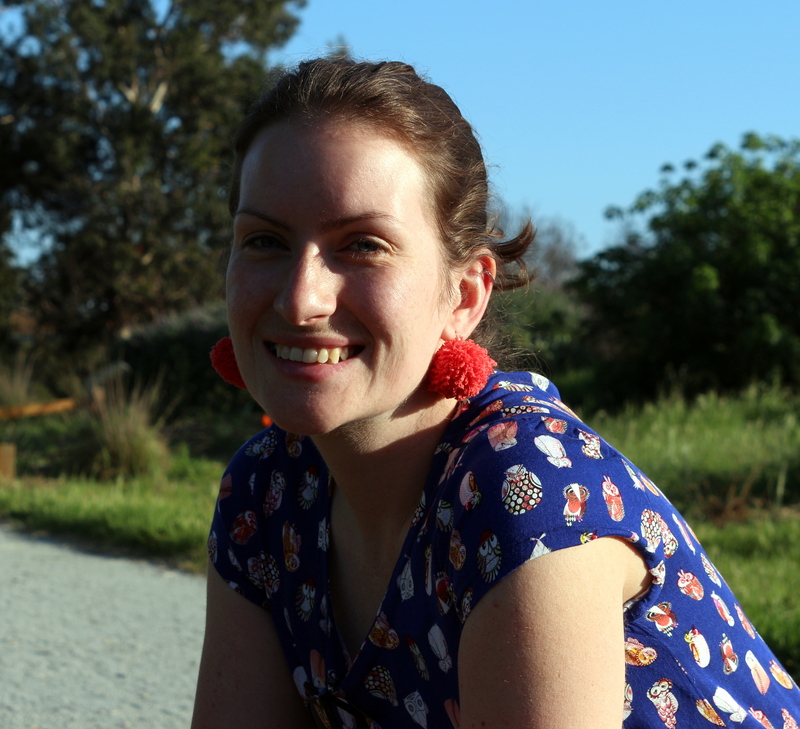 Anyhow, what to do with the Pom Poms? 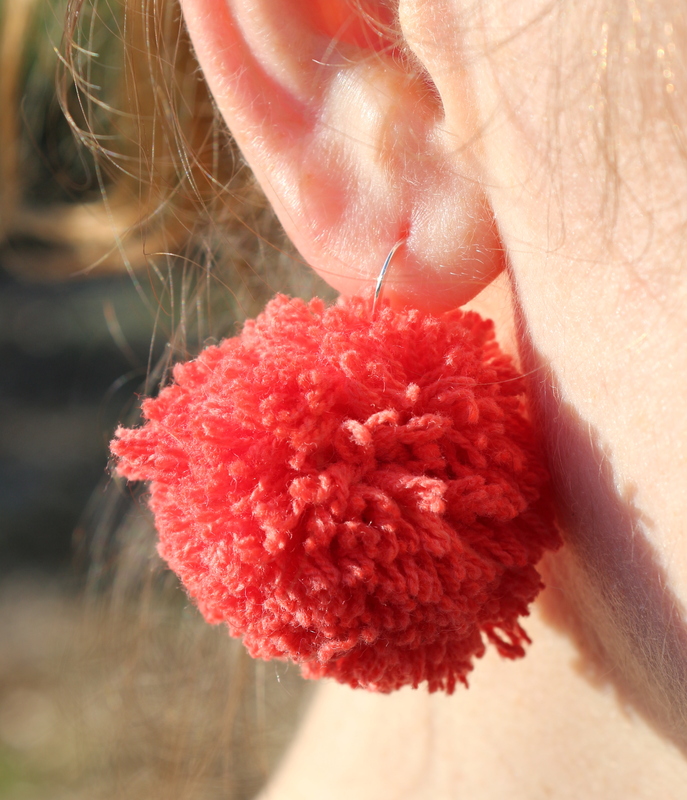 I remembered a picture I had seen somewhere on Pinterest a while back, and decided to make them into some fun, cheap, and kinda kooky earrings! Quick and simple and ready to go. 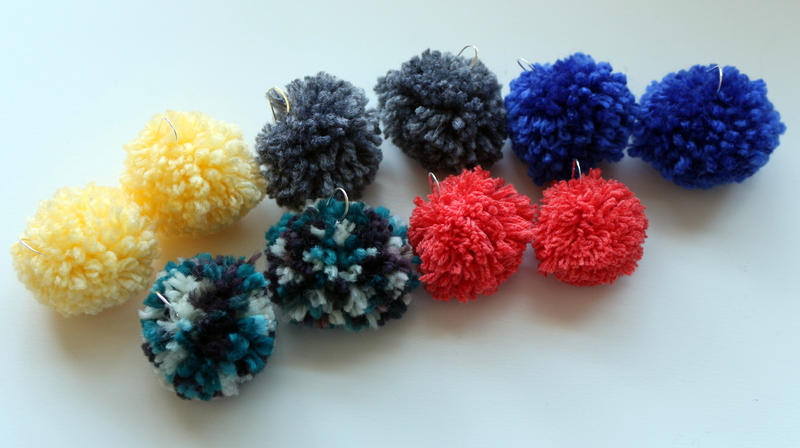 I used a variety of scraps from my stash, leftover from making garlands, a cushion, another cushion, wristwarmers, and a crochet hook case, resulting in a nice colourful array of earrings!. Of course the good thing is, I can just snip the yarn from the ear wire and reattach something else if I get bored, and they are nice and lightweight!